Mr. Manuel "Manny" Pangilinan, Chairman of PLDT which is the mother company of SMART, TalkNText, and SUN Cellular announced that they are giving a free internet to the subscribers of these 3 telecommunication company. Maintain at least P1 to use this service. This promo will be activated 24 hours after your registration, so register now as soon as you read this article to enjoy the freebies. Each user is eligible to accumulate 30MB of data per day, so use your data wisely. Using application like Facebook app will definitely saves data compared to browsing Facebook using your favorite browser like OperaMini or Firefox. What website are included in this promo? You can use the most popular social sites like Facebook, Twitter, Instagram and all Websites that you know except for those websites with video streaming like YouTube. After Smart Telecom launches this promo, Globe Telecom announces that "Starting next week, Free Facebook is back". 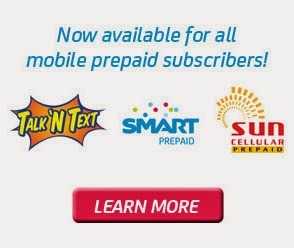 Thanks to Smart, they were forced to back the free Facebook access.